Wait, Skullman!? What are you doing here? 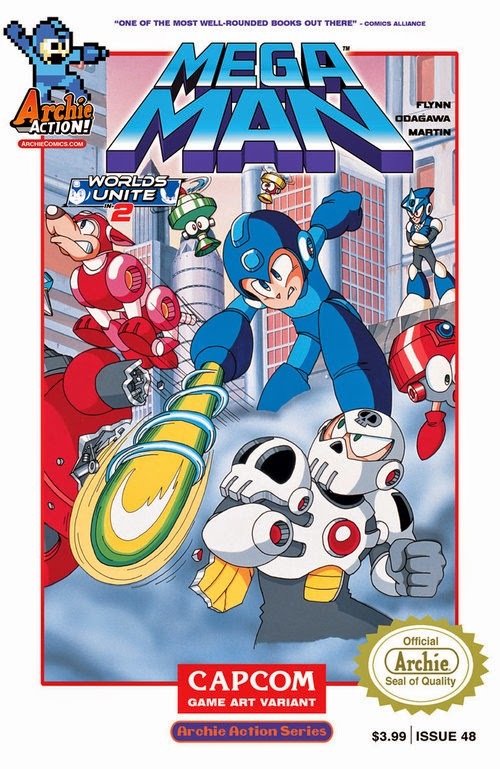 I think it would be better for Archie to wait for the MM4 arc before doing a Mega Man III (GB) cover. What about Wily's Revenge and Mega Man II? Or a Famicom Rockman 3 cover to go with the US, Euro, and PSX ones. I prefer Patrick “Spaz” Spaziante because of japanese feel drawing. Sorry about my English. Spaz is notoriously slow, Archie only hires him now for big events because of that. 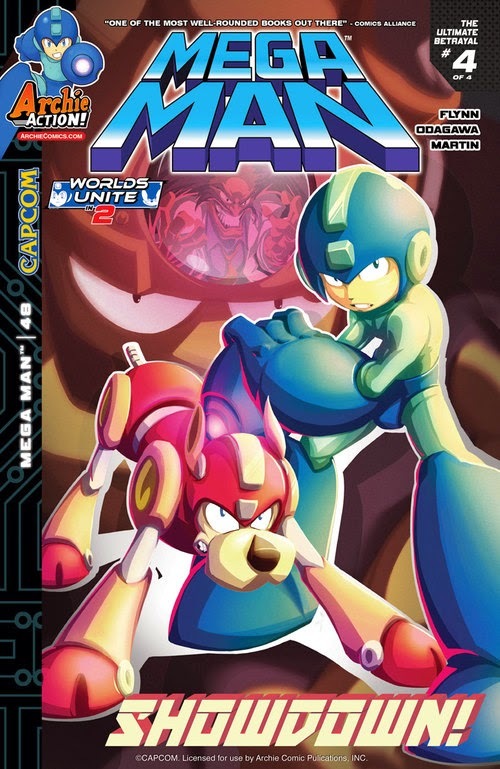 Even the start of Mega Man's comic was delayed a few months because of how slow he is, and the Genesis comic he did for Sonic had to have another artist come in and finish his work. I really like the game art variant version of this one.